As part of his three-week U.S. tour, Mohammed bin Salman, the Crown Prince and effective ruler of Saudi Arabia, is visiting Seattle at the end of March. Over two days, it’s expected he’ll visit Boeing’s widebody jet plant and meet with Bill Gates. Mohammed bin Salman, the Crown Prince and effective ruler of Saudi Arabia, will visit Seattle on March 30, with expected stops to meet with Bill Gates and to tour Boeing’s widebody jet plant in Everett, said people with knowledge of the plans. He’s expected to leave the next day for California, though no details of the stop in the area have yet been confirmed, according to two people familiar with the planning. 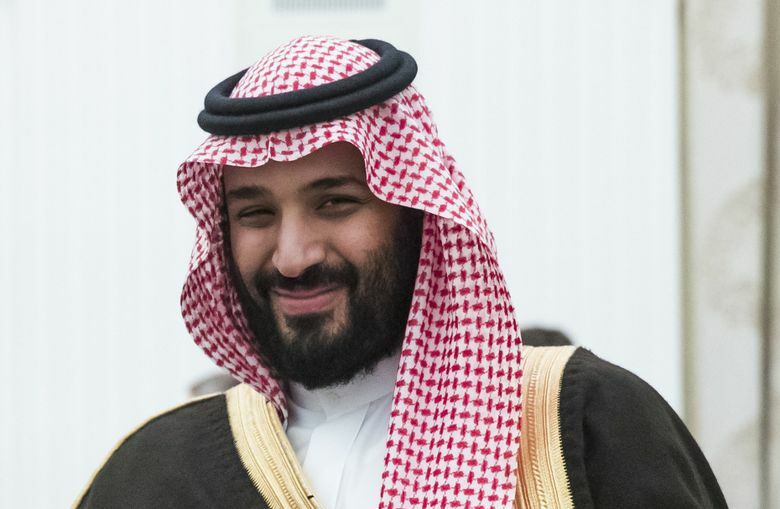 The 32-year-old prince, who typically travels with a huge entourage aboard a Saudi Royal VIP Boeing 747 jumbo jet, has jolted the politics of the Middle East, presenting himself as both a liberalizing modern and at the same time a military strongman. On the one hand, he just lifted a 35-year ban on cinemas and allowed Saudi women for the first time to attend mixed-gender public entertainments such as soccer games. On the other, he has aggressively confronted Iran, his Sunni kingdom’s Shia rival, through proxy wars playing out in Syria and in Yemen, where his Air Force is conducting intense aerial bombing to suppress a Shia uprising. President Donald Trump welcomed Prince Mohammed to the White House on Tuesday at the beginning of a U.S. tour lasting almost three weeks, aimed at strengthening both foreign policy and economic ties with the U.S. The emphasis of the first week of the visit was on gathering support in Washington, D.C., for the U.S.-Saudi political and military axis now aligned against Iran. In that struggle for Middle East dominance, Trump has sided definitively with the Saudis. The Seattle stop is the first on a West Coast swing that will switch the focus mostly to business relationships. On this leg of the trip, the prince, who aims to diversify Saudi Arabia’s economy and make it less dependent on oil revenue, will visit Seattle, San Francisco, Silicon Valley and Los Angeles. Bloomberg News added Amazon to that list, though it’s unclear if that meeting will be in Seattle. Encamped at the Four Seasons Hotel in D.C.’s Georgetown this week, Prince Mohammed and his team already met Wednesday with leaders of major U.S. defense companies, including Boeing. “Discussion focused on the shared interests of both nations for developing technology and growing trade and business ties,” according to the Saudi Embassy. Last May, during a state visit by Trump to Saudi Arabia, Boeing announced agreements to sell Chinook military helicopters and associated guided weapon systems, P-8 maritime patrol aircraft to the kingdom, and an intent to negotiate with SaudiGulf Airlines the sale of up to 16 widebody jets. Flyadeal, the low-cost airline owned by the national airline of Saudi Arabia, recently said it will choose between the Boeing 737 MAX and the Airbus A320neo for a 50-aircraft order this year. It’s likely some of these potential sales will be fleshed out during the Seattle visit. Bloomberg News reported that Bill Gates will host a meeting with the prince while he’s here. Last fall, Gates met with Prince Mohammed in Riyadh, and the two announced that the prince’s Philanthropic Foundation together with the Bill & Melinda Gates Foundation would launch a $10 million initiative to empower young people. Discussion of such philanthropic moves should be easier than the politics covered in talks with senior congressional leaders on the East Coast. There, the prince “discussed the situation in Yemen, … the threat posed by Iran and the Iran-backed Houthi militias, particularly the threat of Iranian ballistic missiles, and threats to strategic maritime shipping that threaten to destabilize the Gulf region,” the Saudi Embassy said.